AlleyOOP Trampolines are trusted by adults, loved by kids. AlleyOOP Sports Trampolines are the best trampolines in the world and they boast superior engineering, safety, and quality parts. 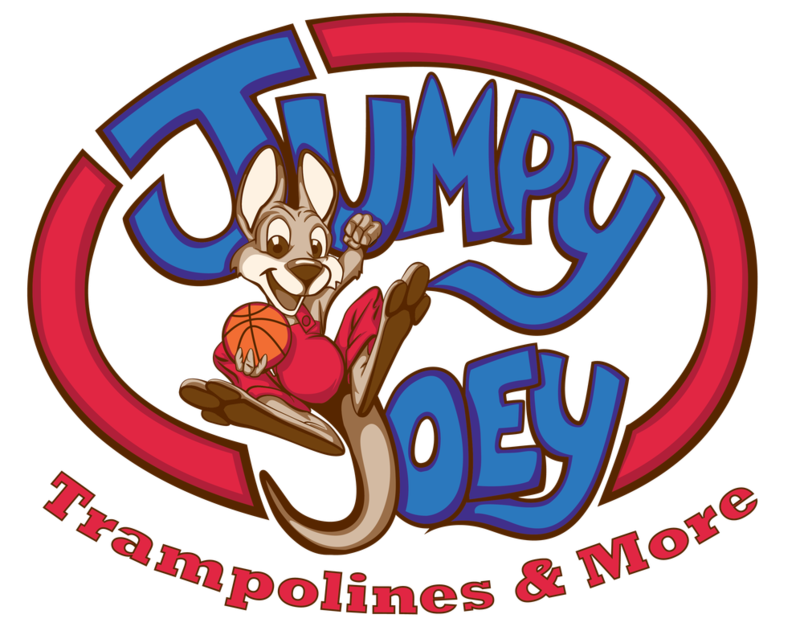 Other regular trampolines do not have the safety and play performance that are offered by AlleyOOP trampolines. 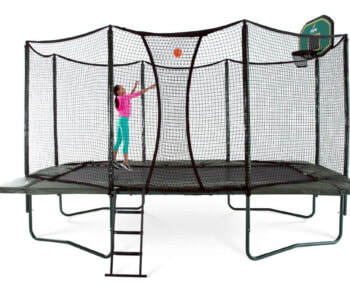 An AlleyOOP Trampoline provides a lot of interior room as the netting goes outside of the frame, allowing kids to sit or stand on the padding and out of the way of another jumper! 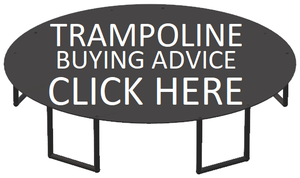 We are an exclusive provider of AlleyOOP trampolines in the Dallas area. 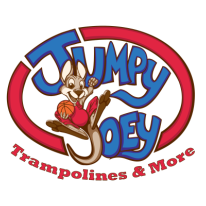 AlleyOop Sports offers many different options including rectangle trampolines, round trampolines, variable bounce, and DoubleBounce trampolines. The DoubleBounce is our most popular trampoline and is also our safest trampoline that is 50% more forgiving while still offering a superior bounce. 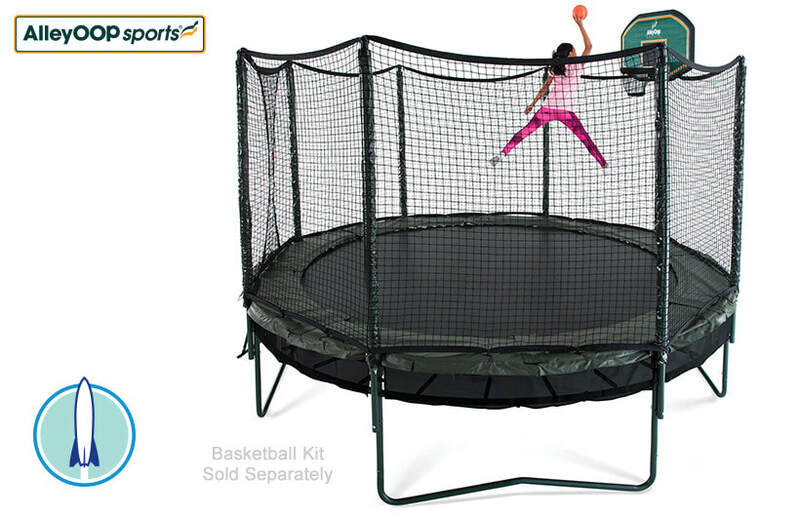 Rectangle trampolines are very popular for competitive gymnasts, cheerleaders, divers, skateboarders, and snowboarders. 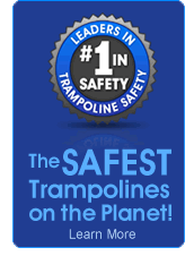 If you only want the best and safest trampolines for your kids’ fun and fitness then AlleyOOP Trampolines are the best choice. 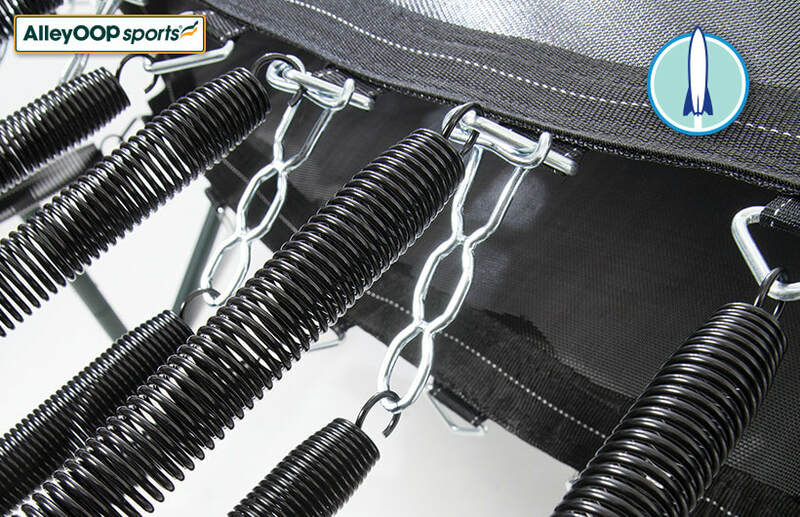 We can deliver and assemble your trampoline to save you time and headaches. 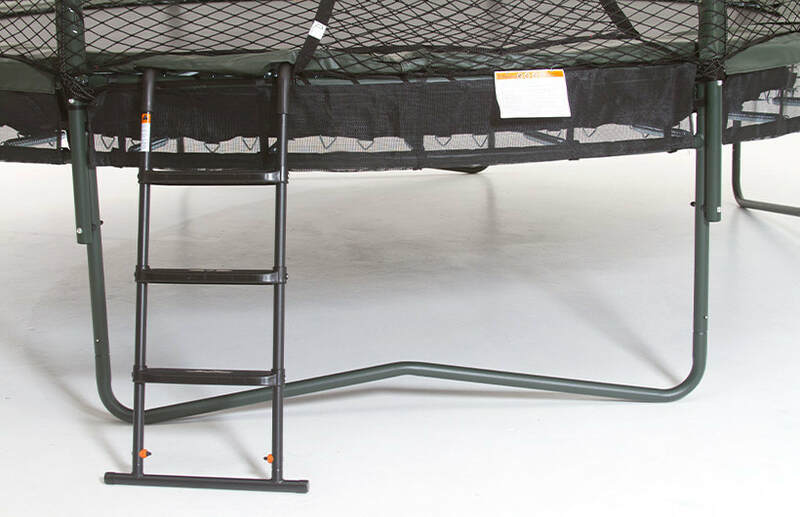 AlleyOOP Trampolines come with the industry best warranty!